There are times and days that are etched in your memory for almost forever. I have been quite lucky to have been able to put together such memories that are usually more of a thing of dreams. Two years ago, I met Pandit Birju Maharj ji whose name in itself is enough to have the lovers of dance and art bow their heads in respect and I had the privilege to learn and nurture kathak under his majestic guidance. He is my guru and will always be. 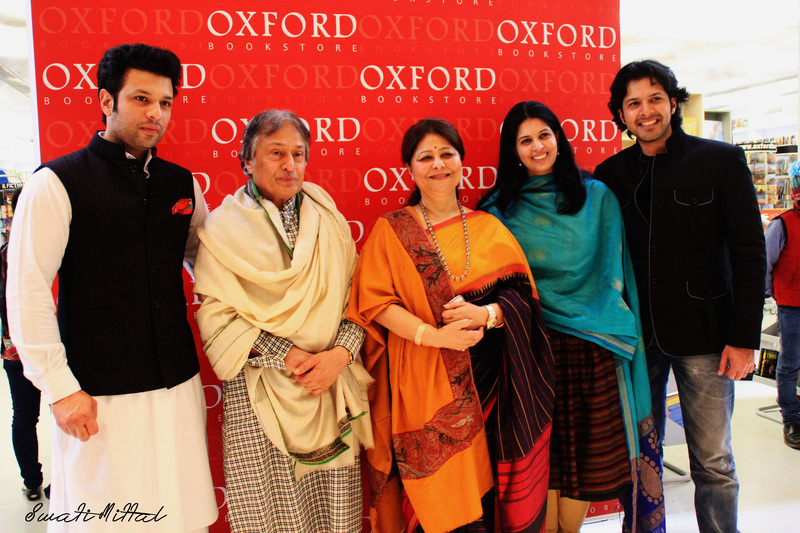 Last year I sat in the humble presence of Ustad Amjad Ali Khan where I learnt a completely different side of modesty. 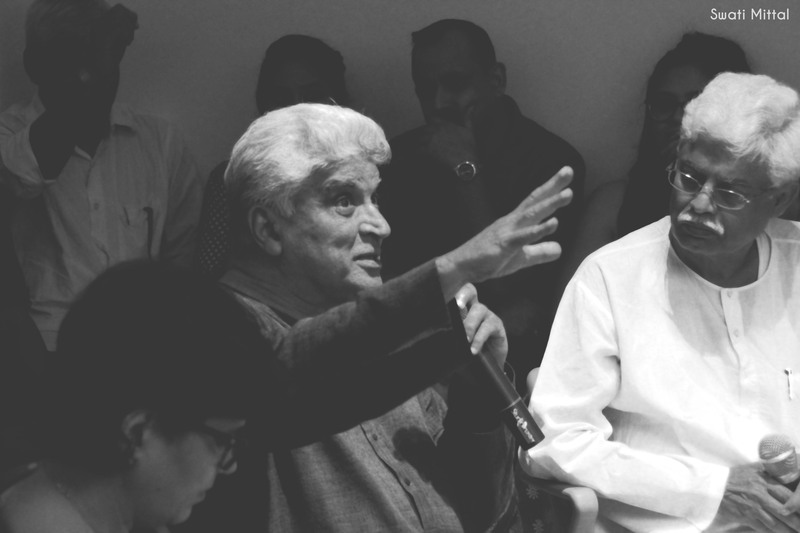 Day before yesterday I came face to face with the legendary lyricist Javed Akhtar sahab. I am never star struck because these men are to be revered and respected in all their glory. 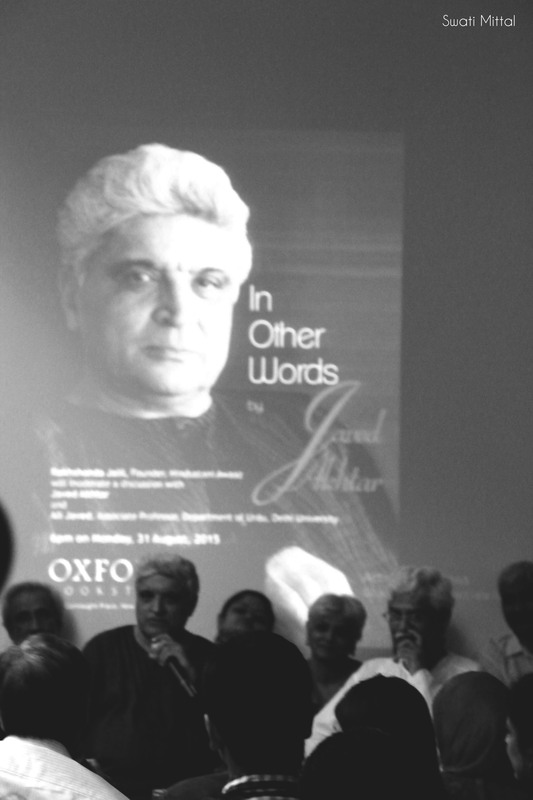 Monday evening Javed Akhtar sahab launched his bible of poems In Other Words at Oxford Book Store, Connaught Place, Delhi. I was all prepared to stand for hours because there would be only a handful who would want to miss his witty anecdotes and satirical comebacks for all the questions thrown at him. But what I hadn’t imagined was that I would have to climb up a ladder to get a glimpse of Akhtar sahab and also capture a few memories of him. It was worth the effort! In Other Words was first launched at the Jaipur Literary Festival this year and has been garnering raving reviews from critiques since then. 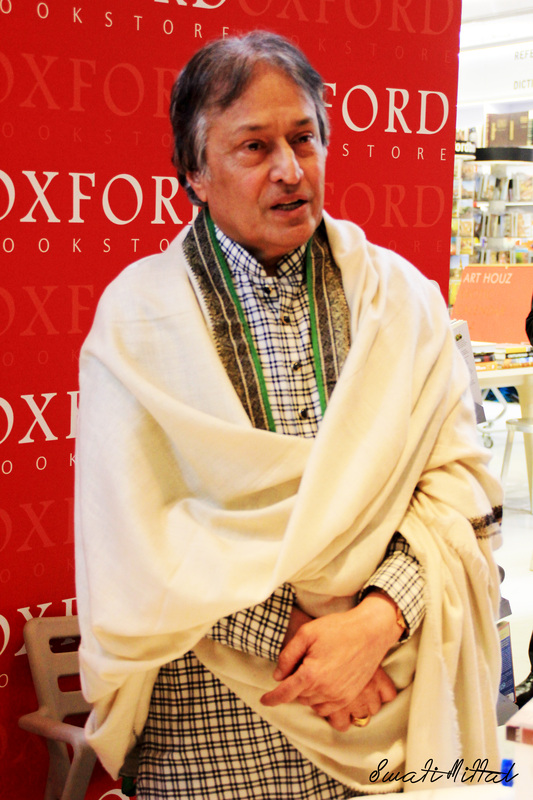 However, for rest of the world the official launch of the book was Monday evening at the bookstore. There is a lot to be said about Javed sahab but there aren’t enough words in this world to define this legend. He made me fall in love with his beautiful lyrics for the movie 1942: A Love Story even when I was too young to understand the depth of the words. But decades later I still sing that one particular song with a feeling so strong, which is hard to decipher. I again fell in love with the poems he penned for the movie Zindagi Naa Milegi Dobara that were recited by Farhan Akhtar in his baritone voice. Honestly, there was a war inside my head and I couldn’t decide what I loved more the words or the poem and well in the end obviously the latter won. I would like to share with you one of the poems from In Other Words and you too will end up cherishing every little emotion behind the poem. The depth, intensity, and the power behind each word is undeniably overwhelming as they carry you to a world of their own. I think it will take me a while to float back to the ground because his poems combined with the beautiful rendition of ‘Kucch Na Kaho’ playing in the silence of the night is enough to keep me entranced. I am unable to write. There I have accepted it. I have a zillion thoughts playing peekaboo in my head but not one is close enough for me to catch. They dance at the edge of my mind but keep eluding me. My worst nightmare as a writer has come true and I can’t do much about it. Yes, I have tried every trick in the book to crush this bloc but to no avail. Quaffed countless cups of green tea (First Flush turned out to be my favorite), done away with all the distractions such as Facebook, Twitter, Instagram… you name it and I have turned my back on anything and everything that can entice me. Did it help? No, Sir! On the contrary it gave me 10 new thoughts to dwell upon. My mind looks nothing short of a playground at the moment. If I come to think of it now then it is not all that bad. See, while cajoling my brain to unleash its creative bend, I ended up learning the delightful art of doodling. Happy, sad, surprised, puppy face… I can draw it all. Brilliant no!? I have perfected the beautiful task of daydreaming too. In just a few seconds, I can envision any scenario from the beginning to end; for all you know in a matter of few days I might turn into an exceptional scriptwriter. So, all is not lost. All this while wondering about what to write, I managed to resume my training in Kathak under the legend of classical dance, Pt. 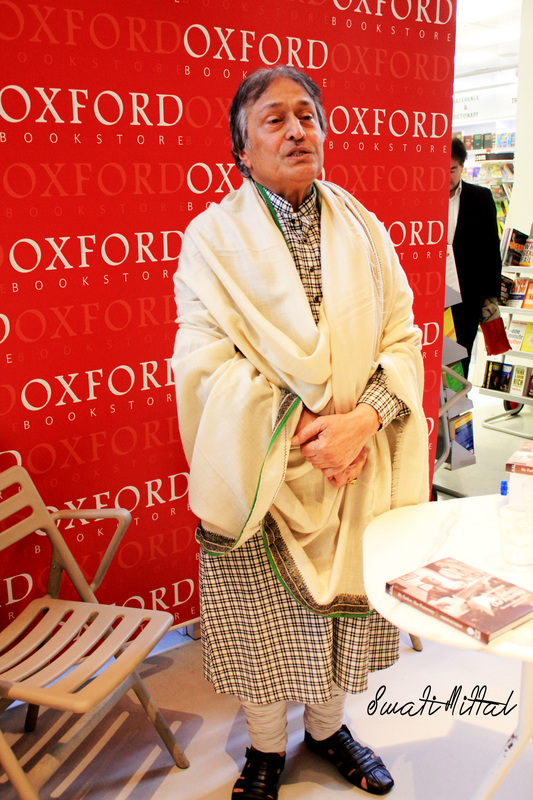 Birju Maharaj. Unfortunately, I had to leave it midway because of the stupid pothole in the middle of the road that had me putting my ankle on months of bed rest. Oh! I have also done away with my hesitation and anxiety over swimming with arms and legs flailing for help. Then there is bathroom singing, cooking – without burning much- and the list goes on. Not bad right?! Mind you, I have also perused all the blogs trying to soothe your churning emotions and help you sail past this bloc. Unfortunately, staring at my laptop screen and the walls around is my only solace. Now, do you believe me that I can’t write? Imagine, I haven’t come up with even a single world all this while. Beat it! I forgot to mention my foray into the adventurous world of startups. It has been nothing short of riding the rising and falling waves in my handmade boat full of excitement and insecurities. I design and customise planters and they are absolutely gorgeous; I retail them under the brand name GreenOBahaar. Someone taught me to never be shy in promoting your hardwork! Well, time to break free of this bloc and indulge into some constructive thinking before my mom throws me out of the home again. This night should never have come to an end. It for sure made it to my list of nights to remember. There was excitement, love, emotions, laughter, an element of surprise, and two hot men. One is a Michelin Star Chef and the other the king of the gadget world. Former is as dishy as his dishes or even more so while the latter has a suave and electric presence akin to the gadgets he is always surrounded with. The one thing common between the two was their charm.They had pocketful of it and so many beautiful women under one roof had them drawing on the reserves. 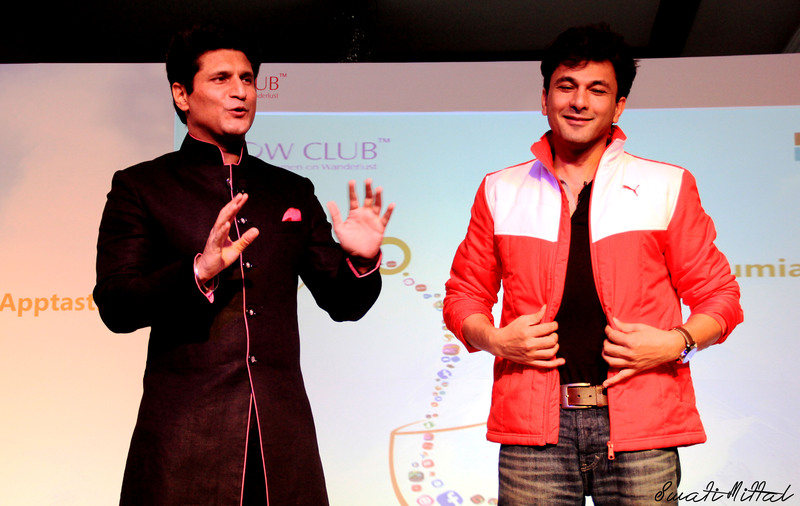 I am talking about Vikas Khanna and Rajiv Makhni who were the hosts for the evening. I believe they need no further introduction. If I may say so then they set the stage on fire. Microsoft Lumia in association with WOW (Women On Wanderlust) and Bloggers’ Mind hosted a beautiful evening at Diwan-I-Khas, Taj Mahal to mark the launch of snazzy apps by Microsoft. 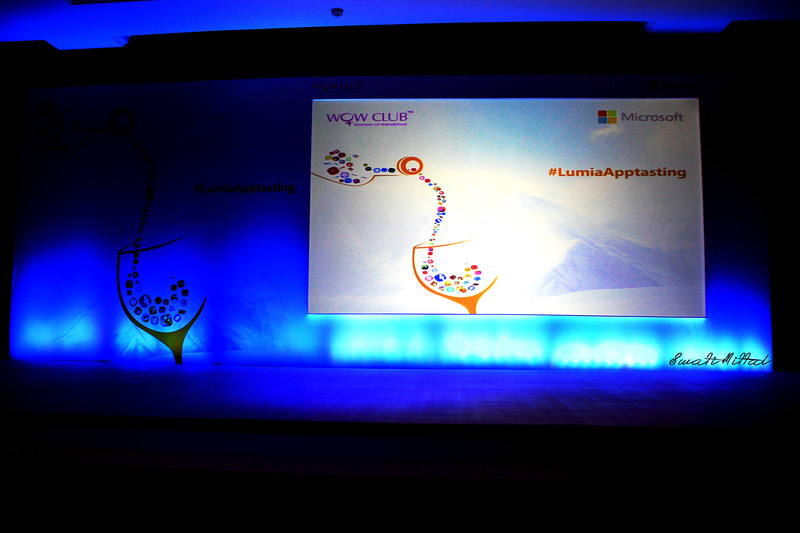 A total of five apps were demonstrated and each turned out to be absolutely brilliant. The first app is a prankster’s delight because it allows you to swap faces in a picture or two pictures and produces rib-tickling results. I couldn’t stop laughing when Rajiv swapped the faces of two women who had volunteered to pose for the app. 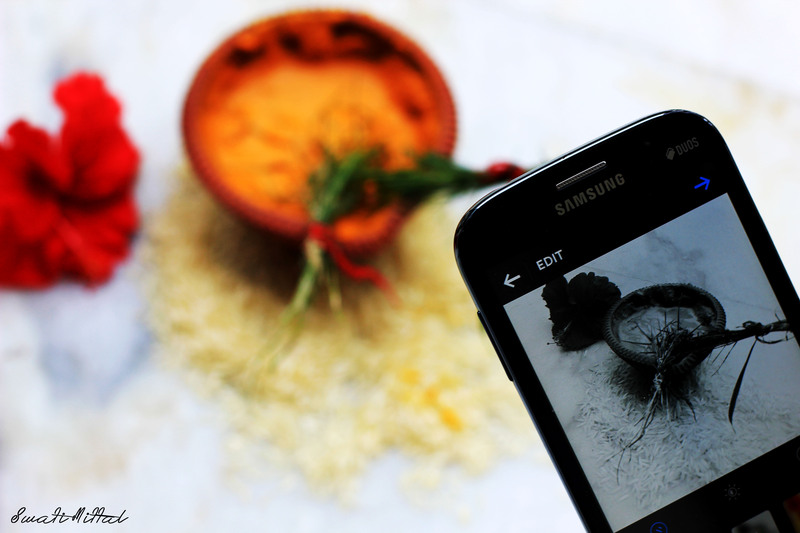 Everyone loves to be clicked, but what’s better when we manage to get an Instagram perfect picture. The second app turned out to be a mixed bag and also a spoilsport for the photo bombing people. It not only gives a perfect picture but happily removes all the unwanted people from the picture. I just got my to-die-for profile picture! Weekend is round the corner and there is all-night partying on your mind. Oops! But how to decide who is the least buzzed to drive and what if you are running solo? Well, party harder because Microsoft has come to your rescue. All you have to do is install this fabulous app before you put on your party shoes. At the time of heading home – hopefully you are tiny bit in your senses – walk around a little without breaking any bones and the app will tell you how drunk you are. It also lets you send a message to the designated driver to get you back home safe and sound. The globe trotters can breathe easy because Microsoft has launched the perfect device to make your journey glitch-free. Sync the device with your smartphone before placing that tiny gadget in your document holder that houses the passport, visa, and other life-savers. God forbid but if you misplace this most important piece of luggage then not to panic… maybe a little. The device will send the location to your smartphone and you can track it with ease. Oh! I was the volunteer for the last app and won a fitness watch from Goqii for my fast walk out of the room. Yayy! It just wasn’t about the technology and apps. Vikas and Rajiv had quite hilarious quizzes and activities planned for the night. The first activity was called Nine and a half minutes tasting where four women from the audience were called on stage and blindfolded. Vikas asked them to guess the vegetables he held in front of them by touching and smelling. It wasn’t by any means a simple affair. The jokes and smutty innuendos that followed were definitely not meant for the kids. However, women enjoyed every bit of it and were ready with their lascivious comebacks irrespective of their age. I have never had such an amazing time. 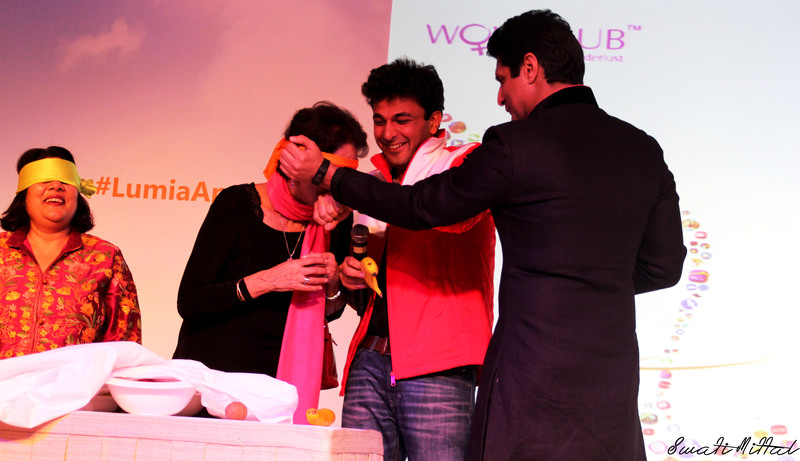 Who can refuse desserts specially when it has been prepared by Vikas Khanna and he was the one feeding it… not just with a spoon but his beautiful fingers too. He looked as sinful as those desserts. Almost all hands shot up when Rajiv called for volunteers. In the end both the men went around the room and made their own pick of gorgeous women. They too were blindfolded and were asked to recognize the ingredients in the dish. Well, food tasting must never have been so eventful for anyone. These men danced, sang and joked with all of us and made this evening quite memorable. 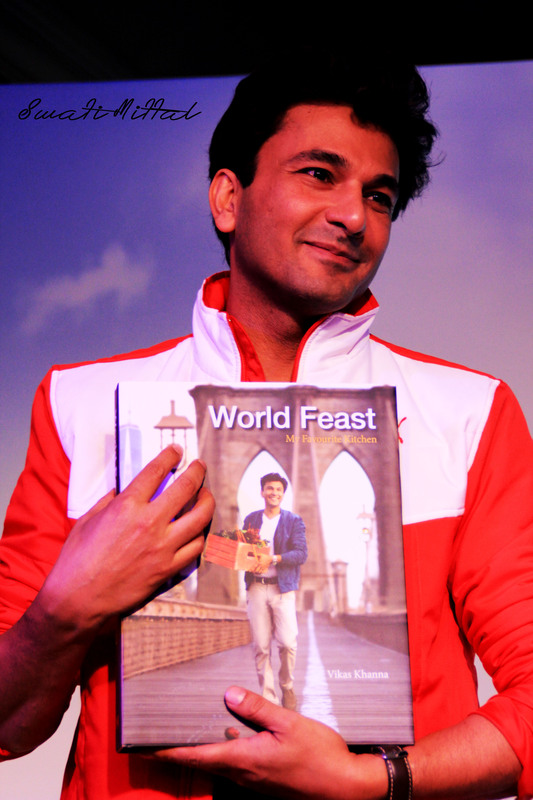 There was a big surprise in store for all of us; a goodies bag that had the most amazing gift for all who love and admire Vikas Khanna, and also for technology aficionados. 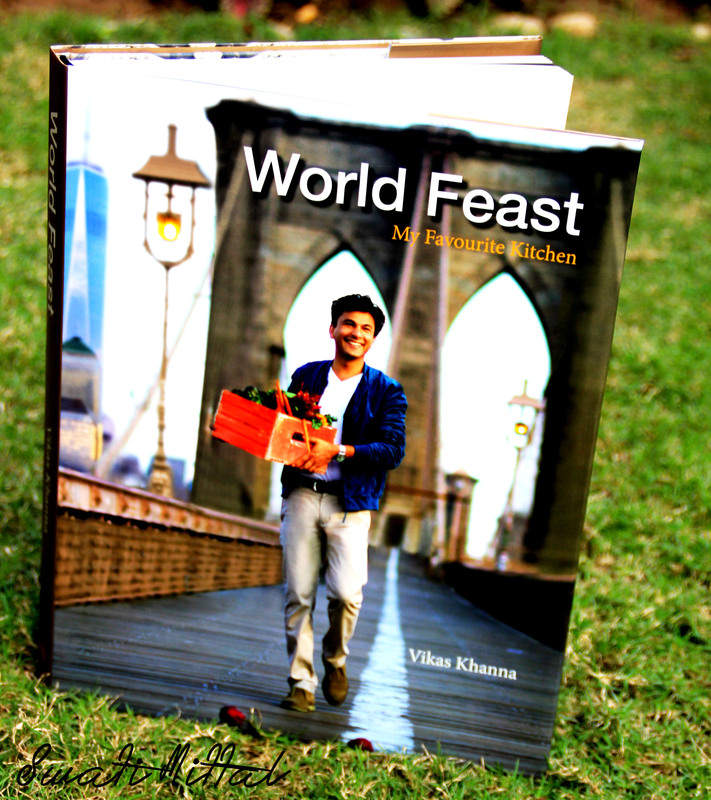 World Feast: the latest cookery bible by Vikas Khanna was the cherry on the cake for me. I couldn’t have asked for more, but I did get a lot. Please let your jealousy turn the darkest shade of green because I not only had my copy signed by him but also have in store a beautiful selfie with him. 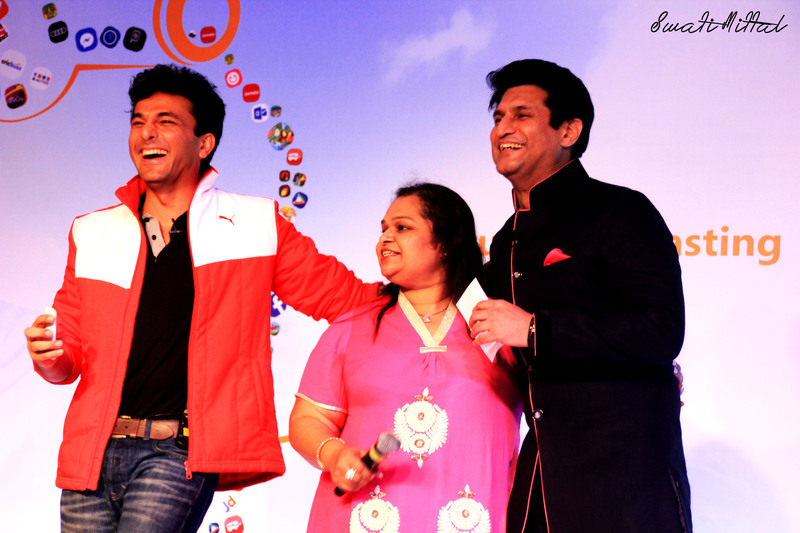 I got a picture, actually three, with Rajiv Makhni too. He is one of the most good-looking and humble man. 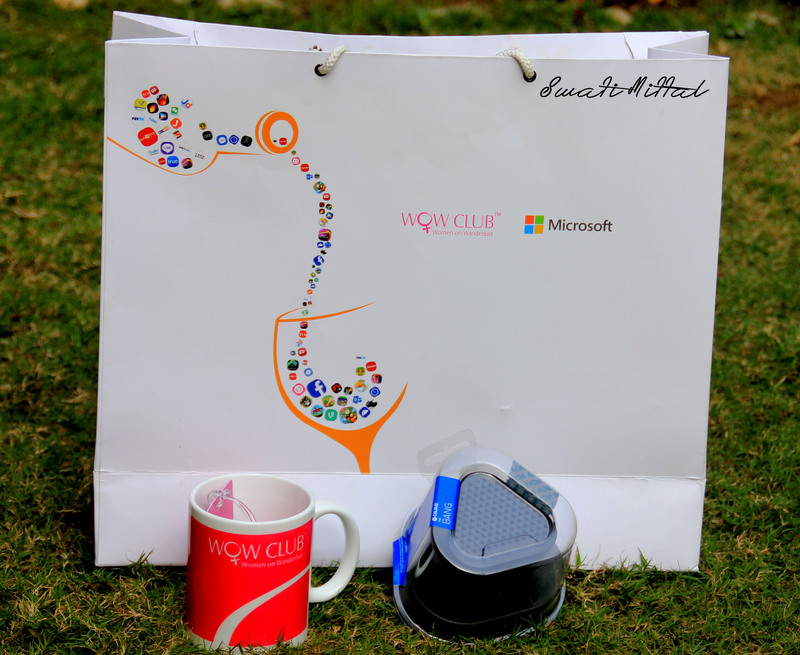 The bag was more like a treasure box because there was a coffee mug and luggage tag from WOW, a mind-blowing portable speaker from Nokia, and a beautiful picture that I got clicked in front of the pyramids. Our magnificent evening was rounded up with the preview of Fifty Shades of Grey, wine, and a mouth-watering spread of dishes. I will round-up my post with a big thank you and hugs to all those amazing people who put together such an incredible event for us. The God of cricket once said, “Chase your dreams because they do come true”. If only that time I hadn’t considered it to be one of those philosophical pacifiers for the over-messed up mind. 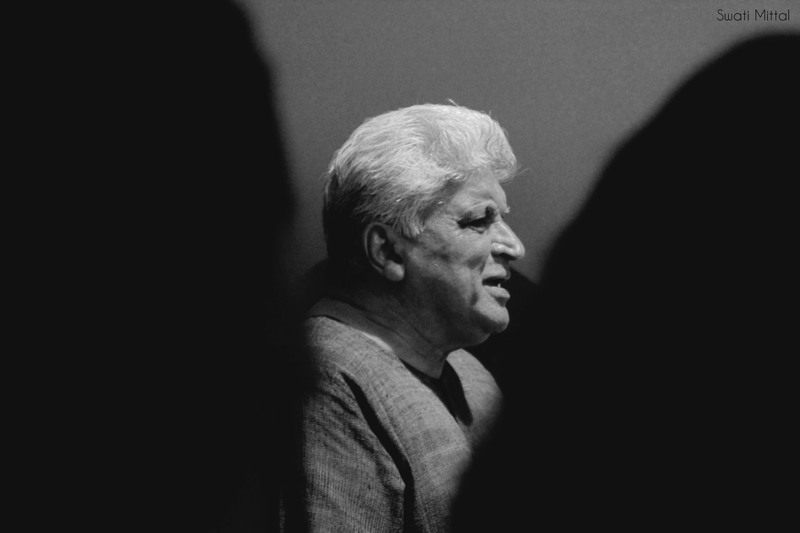 I got to meet not only Amaan and Ayaan Ali Khan – a dream I had thought will always be a dream – but also the legend of Hindustani music, Ustad Amjad Ali Khan and his wife Subulakshmi Iyer, one of the most beautiful and graceful Bharatnatyam dancer. 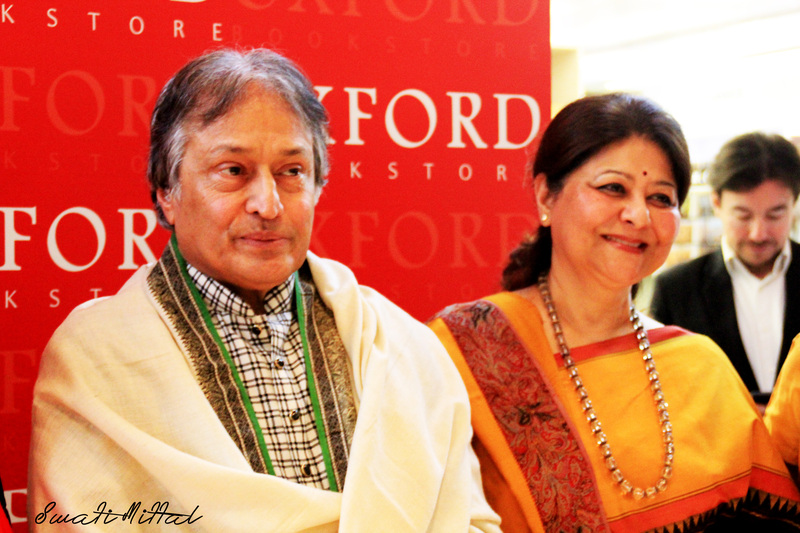 This dream-like reality started taking shaping when my mom came across the invite for a book launch by Ustad ji at Oxford Book Store, Conaught Place, Delhi. 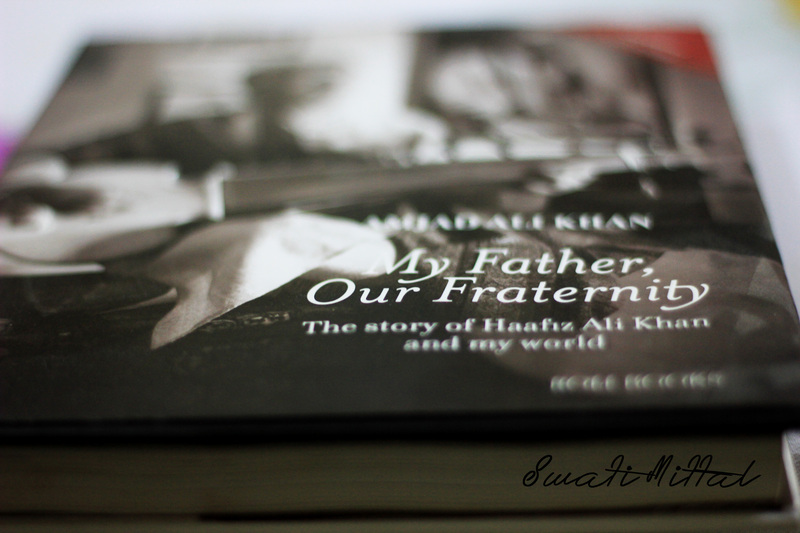 I need to backtrack a little: Ustad ji was to launch his autobiography: My Father, Our Fraternity, and its excerpts were to be read by his family friend and esteemed singer Shubha Mudgal. In my excitement to be in the presence of a legend, I forgot to confirm the details of the event and had to return disappointed, since the event had been postponed. Not the one to be deterred so easily, I reached well in advance with my mom on the rescheduled date. The clock that day was ticking slower than its usual pace or maybe it was just my anticipation to meet Ustad ji. To say that his personality is charismatic would be an understatement. A white and green check kurta, creme churidar, and his signature pashmina shawl accompanied by his majestic persona acted like a magnet for everyone present there. I for one was captivated by this soft spoken man who oozed calm and elegance. There has never been a more down-to-earth and grounded man other than Mr Bacchhan. The same warmth was extended by his family too who had no air about being the first family of Hindustani music (I like to address them so). 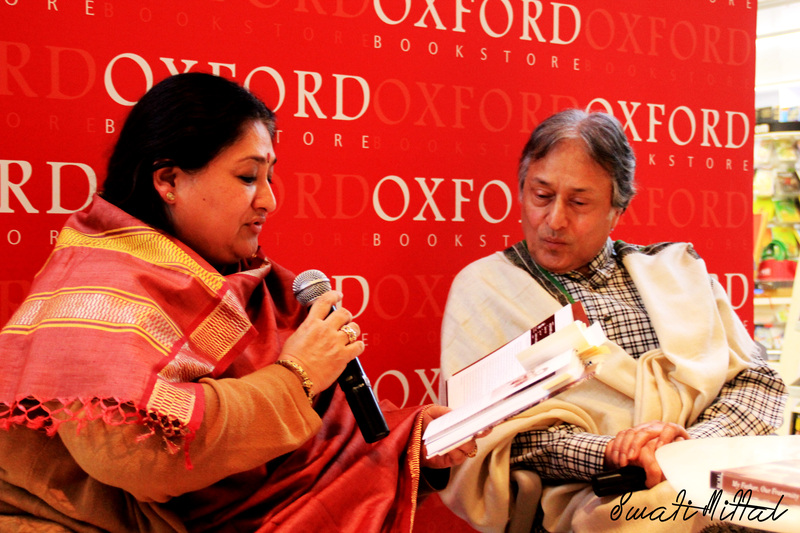 Shubha Mudgal read out excerpts from the book and requested Ustad ji to share his experiences from the book with all of us. He enthralled us with his humble start in the field of music under the tutelage of his father. His book has been dedicated to his father who was a maestro and whose unprecedented talent can be seen in his future generations i.e. Ustad ji and his sons. I consider myself lucky and blessed to have met the man who I have always held in high regard. The thing that increased my respect manifold for him was his kindness towards all. 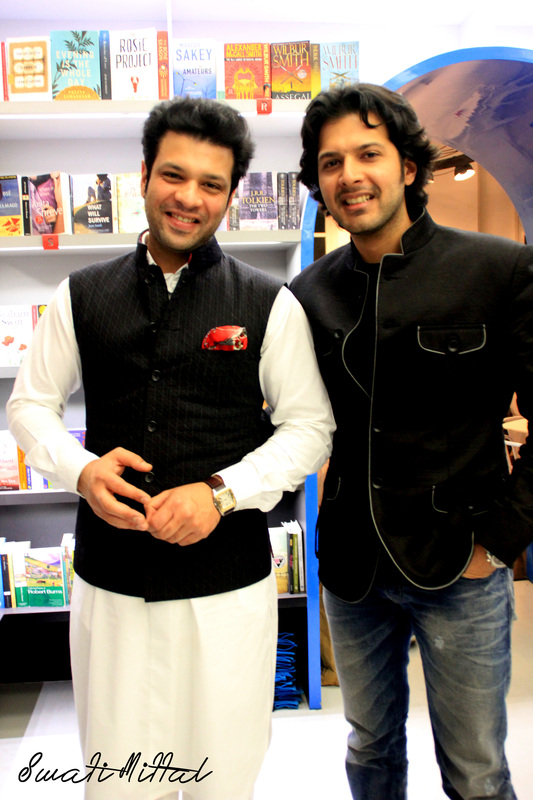 There was not even one instance when he refused to sign books or stand every now and then to get pictures clicked. Last but not the least, I can’t get enough of his music; a CD with his latest renditions has been encased at the back of the book, which is definitely a collector’s item. I will never stop reminiscing about that day, but for now time to get back to the book with the melodious notes of sarod soothing my senses. I love cartoons! They are simply the most uncomplicated. Cartoons bring nothing but smile to face, well there are few that do irritate. I have my own set of favourite ones, such as Tom &Jerry, Tales Pin, Duck Tales, Alice in Wonderland…. oooh how I forget Jungle jungle baat chali hai pata chala hai, arey chhadi pehen kar phool khila hai phool khila hai. Boy I used to love Sundays! However my absolute favourite is Tom & Jerry and will always be. There is something about it that has always made me want the same bond with a love-hate relationship. The constant bickering, pulling each others leg, a prank up our sleeves, and so many more things – I have always wanted it all. A funny conversation with a crazy (less than me) friend made me realize that I already had a T&J equation in my life. I drive my friend and his tryig-so-hard-to-curb-patience to the brink, while he has a way of calming me down as soon as my temper starts fraying at the edges (that too with one of his PJs). I am the trouble maker in his life while he strives to sort out (create some too) all the problems in mine. Oh I love to see him in trouble 24×7 and that is just one of the bones of contention between us. We fight and argue without wasting a second, be it day or night. Still we are each others 12-5 am friends. So, by now you must have judged that whose who in this situation. 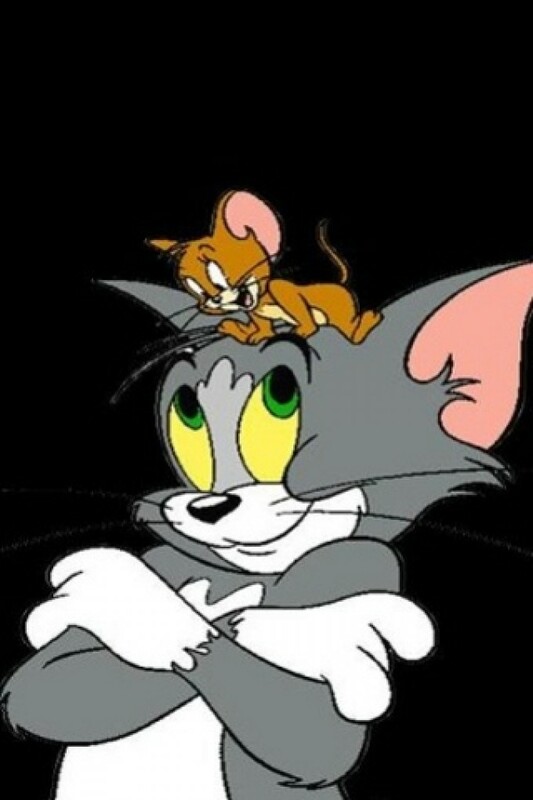 Well, he is Tom and I am self-proclaimed Jerry. I can’t help but be a troublemaker with a halo of mischief on my head. Later, it got me thinking that it wasn’t just Tom and Jerry, my life is full of most of the cartoon characters that I see on screen. I don’t know what character should I attribute to my sister. Jerry for sure suits her but then I can even call her Chip & Dale. 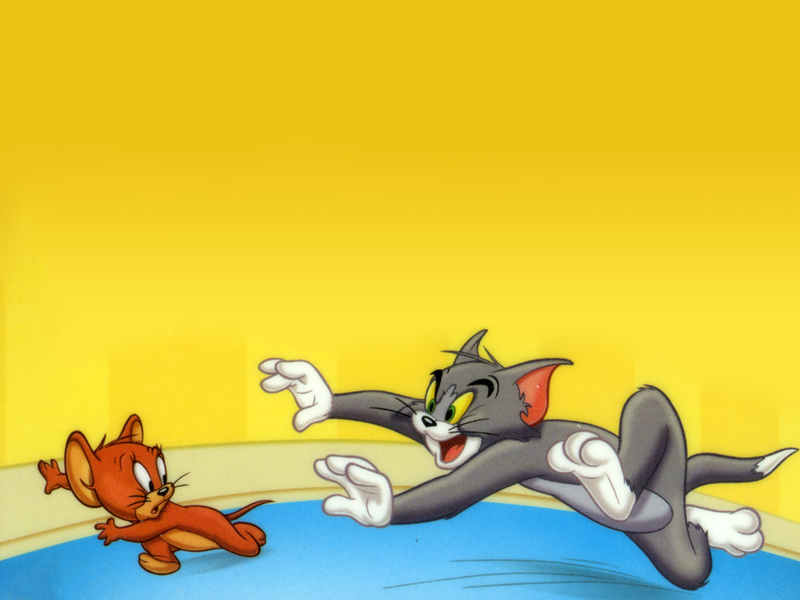 For now I will go with Jerry and here I am Tom. 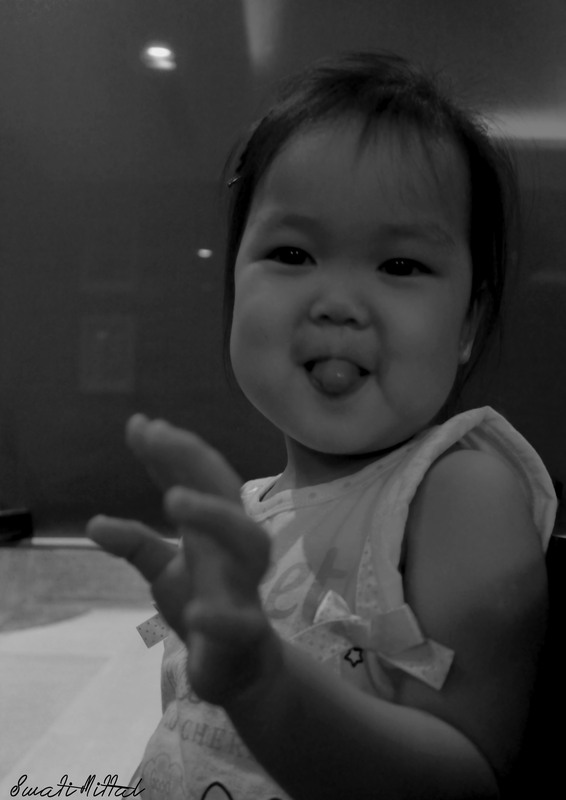 A troublemaker to the core, she plays the role of Jerry to the dot. Every time I have tried to play a prank, it has simply backfired, just the way it happens with poor Tom. There is no prize for guessing that who has the last laugh. She runs around, plays a prank on me or others, leaves me to sort out the mess (mess is an understatement), makes me look like an idiot (recall Tom’s frustrated expression and Jerry’s smug one), and yet she is my biggest protector. She won’t let anyone else play a prank or mess with me. Doesn’t it sound like the perfect T&J equation?! I know I am mixing cartoons with comics but I can’t resist mentioning Archie in this post. He is the cutest guy around both in print and my life, who has a way people around him, especially women. His charm and goofy grin tilts the scales in his favor more often than not. Unlike the comic, Archie in my life is not all-looks and -no-work kind of a guy. There is a sense of maturity about him that most of the people are unaware of. Hey! Work, responsibility, and all hasn’t stopped him from having Veronica and Betty in his life! I have a Stewie, Spongebob, Goofy, Uncle Scrooge, Winnie The Pooh, and many more beautiful cartoon friends. It would have been fun telling them about too, but I shall let it be a secret for now. P.S. There is nothing that can compete with the T&J relationship in life because that’s a bond that gets stronger and crazier after every fight. If you have one then cherish it with all your heart.